Sooooooooooooooooooooo excited for the long weekend (sorry non-USians who don't get Monday off!). I'm still working my way through Tarzan, but have started Fires of London by Janice Law, historical murder mystery set it World War II London, and The Other Half of Me by Morgan McCarthy which seems a bit English-y and moody and dysfunctional family-y. Yum! I'm all messed up in my review queue because I started two non-queue books because, I don't know, I'm crazy and they were good and .... yeah. Just finished Maryanne O'Hara's Cascade -- unghfughhhhhh, amazing/good/bittersweet. Am still working on words for that one. The other surprise was Kimberly Brock's The River Witch -- a contemporary Southern fic that hooked me with the moodiness and lovely characters. Two great reads but as a result, I've got to scramble this weekend to write reviews for the books I'm scheduled to review. Oops! Did I finish? : Oh yes, inhaled this one! One-sentence summary: The life of the 18th century Russian saint, Xenia, as told by her cousin. Do I like the cover? : I do -- it's quite pretty -- but I don't think it captures the novel's story. First line: Yes, this was her house many years ago, when she was still Xenia. Buy, Borrow, or Avoid? 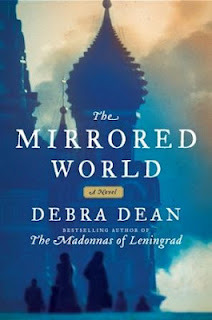 : Borrow or buy if you like Russian hist fic or royal hist fic -- this tale of semi-nobles and icy Russian landscapes is marvelous. Do I like the cover? : Eh -- it's fine. It looks like what it is -- masculine mass paperback cover of an adventure historical. First line: The hearth is spewing more smoke than flame, seething angrily and causing some of the men to cough as they hunker down among the reindeer furs. Do... I love that the author will answer reader questions on his website? : YES. Do... 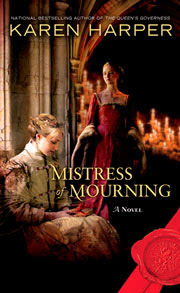 I love that the author is a former pop star and actor slash model in addition to being a historical novelist? : YES. He is a cutie, too! Rating: Liked a great deal -- loved at times! Did I finish? : I did -- I luxuriated with this one! 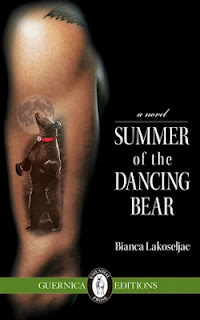 One-sentence summary: The summer of 1960 -- with the mysterious disappearance of a neighbor's baby and the arrival of gypsies -- shapes Kata's life for years to come. Do I like the cover? : I do -- it's a smidgen cheesy but it represents a specific character/scene and I do like that. First line: Perched high up in the crown of an old cherry tree, eight-year-old Kata sat in her hideaway, humming a tune. Buy, Borrow, or Avoid? : Borrow or buy if you like poignant coming-of-age stories, Eastern European fiction, or stories from the '60s. Oofta -- getting ready to go back to work is a rough transition after so much time off. I'm quite spoiled now! Anyway, back to my regular schedule, starting with our winners for the week! The winner of Diving Belles is ... Mabel S.
The winner of The Forrests is ... Anita Y. The winner of The Orphan Master's Son is ... Shannon D.
Congrats to the winners! Winners have been emailed; if you didn't win, be sure to check out my other open giveaways. 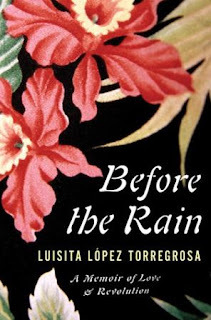 One-sentence summary: A newspaper editor's intense affair with a journalist during the violent elections between Marcos/Aquino in 1980s Philippines. Do I like the cover? : I do -- it's so very striking and pretty, and doesn't sensationalize the romance between Torregrosa and her lover Elizabeth (although with those big ole O'Keefe-ian blossoms, there's certainly a sapphic suggestion). First line: In the years since that first letter came, postmarked New Delhi and written on pale lavender Claridges Hotel stationery, I have begun this story a hundred times, and each time I was afraid. Did I finish? : I didn't. 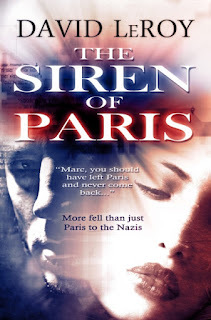 One-sentence summary: An American art student finds himself changed when the Nazi-occupation of Paris forces him to make tough choices, ones that will impact him forever. Do I like the cover? : I'm not wild about it -- while it certainly captures the romantic/femme fatale-y aspect of the story, I don't think it quite conveys the novel's focus on WWII Paris. First line: "May the Lord be with you," the priest's voice rang out to all gathered at Marc's graveside in September 1967. Buy, Borrow, or Avoid? 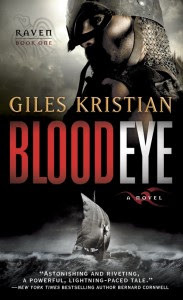 : If you're a WWII fic addict, this might be a good addition to your summertime reading. It's a steamy, rainy, pea-soup-y day in Boston, so I need a little cheering up. Sharing these giveaway winners makes me happy! The winner of House of Shadows is ... Jessie of Ageless Pages! The winner of Miss Me When I'm Gone is ... techeditor! The winner of The Age of Desire is ... Meg of Write Meg! Congrats to the winners! Winners have been emailed. If you didn't win, be sure to check out my many open giveaways and keep reading this blog -- I have a very huge giveaway opening on Friday! I'm wading through four books at the moment because I can't commit: The Siren of Paris (historical novel, WWII, set in Paris); The Twelve Rooms of the Nile (historical novel, 1850, Nile River, fictitious meeting of Florence Nightingale and Gustave Flaubert! 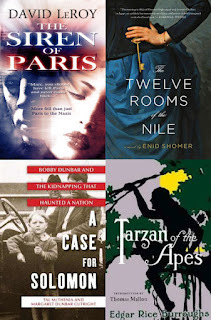 ); A Case for Solomon: Bobby Dunbar and the Kidnapping That Haunted a Nation(non-fiction, 1912, a kidnapped boy is later claimed by two different set of parents); and Tarzan of the Apes (vintage fic, 1880s, monied son is raised by apes). What are you planning to read this weekend? Any opinions on these reads? One-sentence summary: An indie record store in Berkeley, CA witnesses the trials, tribulations, battles, and victories of two families, one black and one white. Do I like the cover? : Yes -- it perfectly captures the vibe of the book. First line: A white boy rode flatfoot on a skateboard, towed along, hand to shoulder, by a black boy pedaling a brakeless fixed-gear bike. Buy, Borrow, or Avoid? 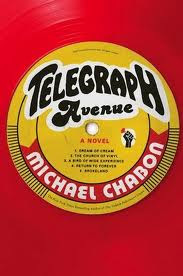 : If you love Chabon, or Berkeley, then you'll probably want to read this. Earlier this month I fell in love with Julie K. Rose's Oleanna, a wonderfully moving historical novel set in early 20th century Norway. 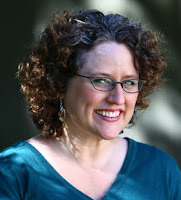 I'm thrilled to share this interview with the author; read on to learn more about her and her writing, Oleanna, and what she does when she's not working on her novels. Be sure to check out the international giveaway as well! Oh my lord. I think it was a school assignment in elementary school, and it was called Panzer the Super Dog, all about our German shepherd. Honestly, all I can remember about it is the drawing I did on the front, of the dog with a Superman cape. I expect he flew around and saved the world. Did I finish? : Yes -- I inhaled this one. One-sentence summary: Sword-for-hire-with-a-heart-of-gold Eddie LaCrosse is hired by a friend to find her long lost amour, and learns her story is more complicated than he anticipated. Do I like the cover? : You know, I don't care one way or the other -- it's pretty cheesy, but kind of glossy, too, and I'm really not feeling much. First line: "There's a new client waiting to see you," Angelina said when I entered her tavern. Do... 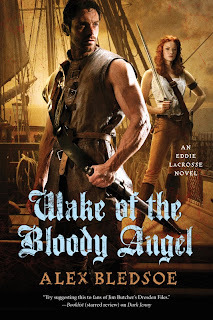 I have a bit of a hot crush on our sword-for-hire Eddie LaCrosse? : YES. He can brag he's got at least one lesbian fangirl.